Yorkshire Sculpture Park | Magdalena Abakanowicz | Ten Seated Figures, originally uploaded by Thomas Tolkien. 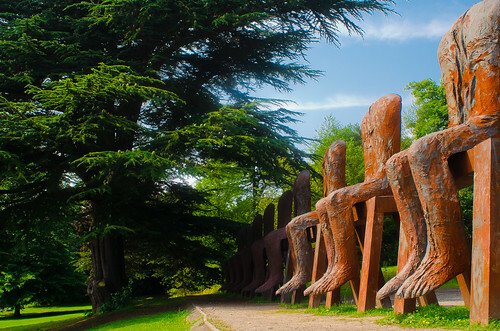 Ten Seated Figures by Magdalena Abakanowicz at Yorkshire Sculpture Park, Bretton Hall, Wakefield, Yorkshire. Jaw-dropping sculpture display! Thank you so much for sharing this.